How to Eat Subway Everyday! 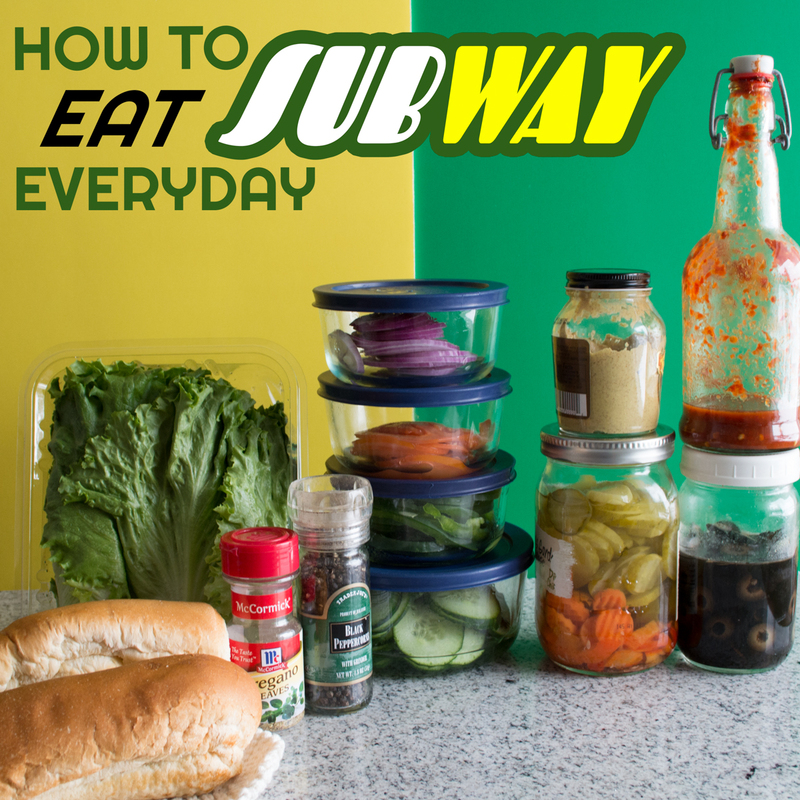 Home » How to Eat Subway Everyday! I just love ordering the veggie sub at Subway, it might be—literally—one of the only things I can eat there but it never disappoints and it is FULL of vegetables. Subway is one of the few fast food establishments (Chipotle too) that I was able to continue eating after I read Fast Food Nation over 10 years ago, although I’ll admit there was a few years break. FFN is one of those driving forces of change from my past. It opened my eyes and turned off my stomach when it came to fast food. 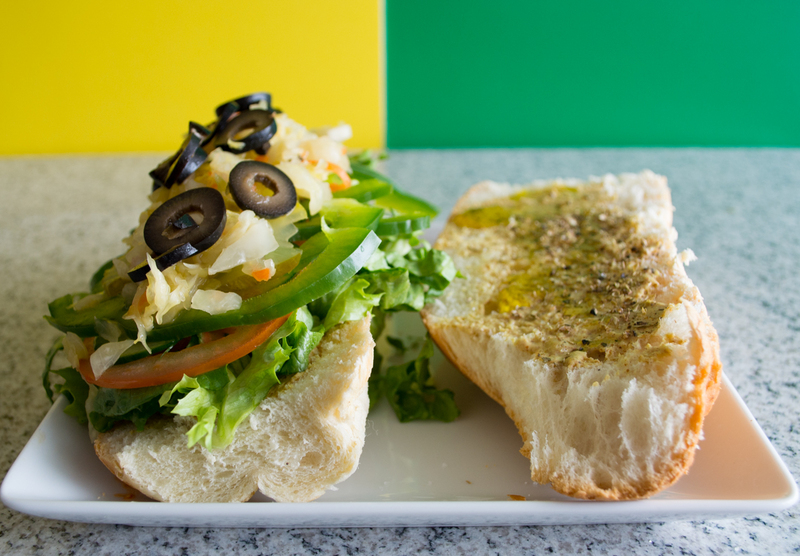 Last week when we were craving a visit (and the convenience) of Subway, I wondered why we didn’t just make our own at home?! It would be so easy, it could be so convenient, and I bet it would save money! The way it works? 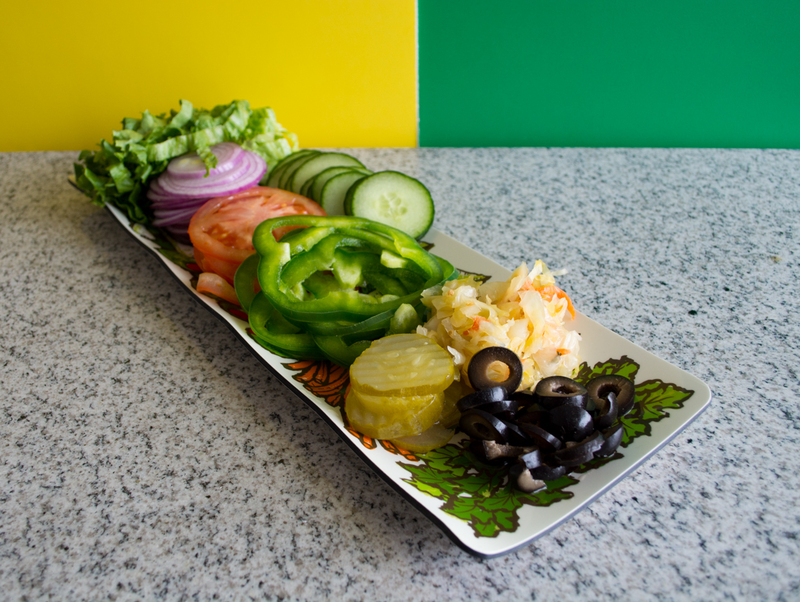 Buy desired fresh vegetables, sandwich rolls, black olives, pickles, or any favorite veggie you want. Then prep everything for the week by washing, slicing and storing the ingredients in glass containers. Spend about 2 minutes making your sandwich the night before or the morning of work. 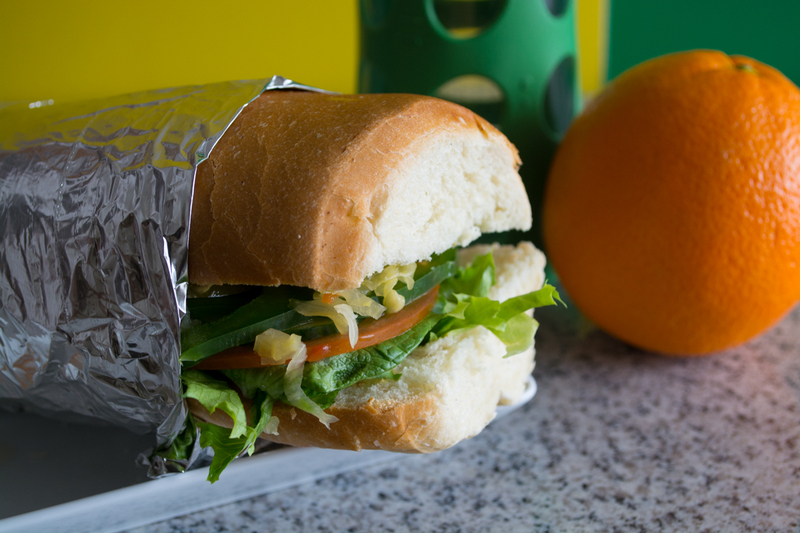 Store in a reusable container or wrap in tinfoil. And it was easy! 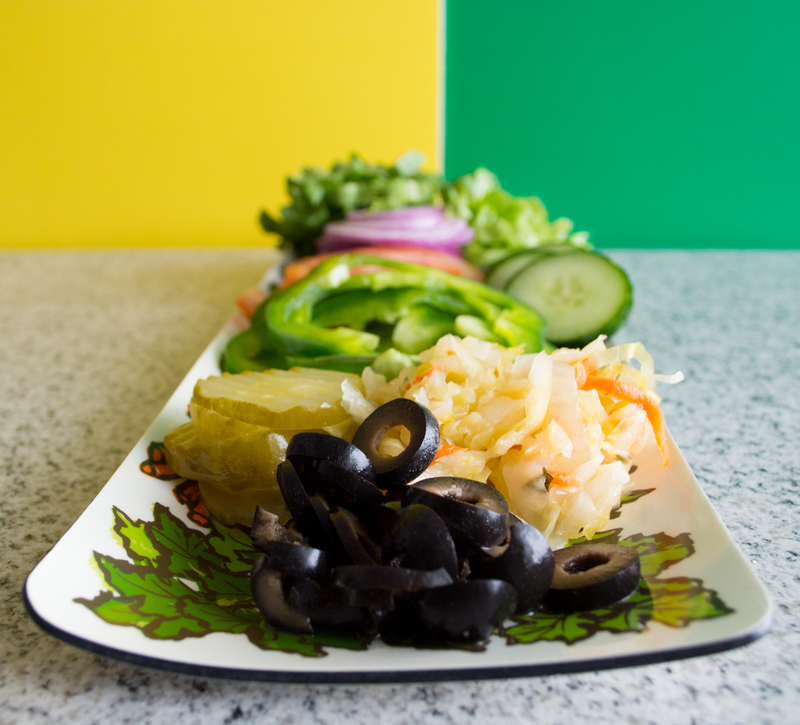 The vegetable prep took less than 30 minutes using both a knife and a mandoline. I didn’t employ the food processor for help, but I could have. And it saved money! Two foot longs usually cost us around $13 (if we get chips 😉 ) and the total for a week’s worth (not quite a week for 2 people) is $13.79. 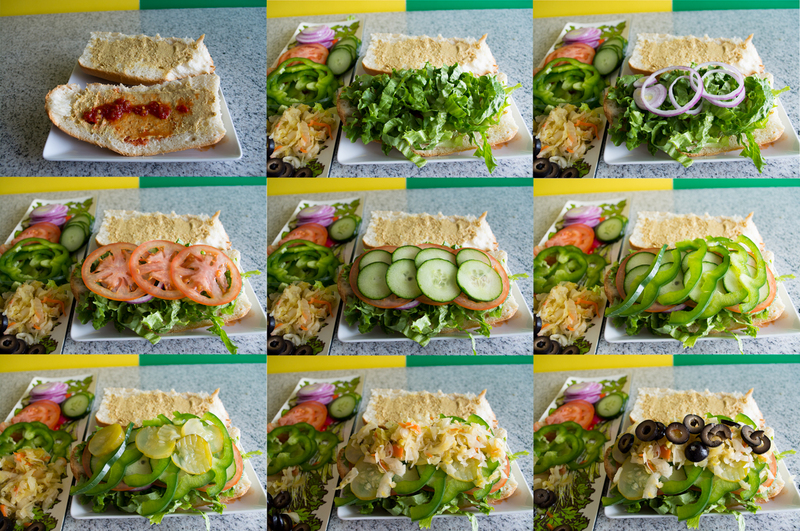 I started with vegetables I normally have on my sandwich at Subway—but feel free to go crazy. Then I added homemade sauerkraut and sriracha. I also love spicy mustard, a teaspoon or so of olive oil, and a splash of vinegar (red wine or champagne) so those went on the sandwich too. Plus a generous sprinkle of dried oregano or basil for authenticity. Homemade ‘Subway’ salads are also delicious. 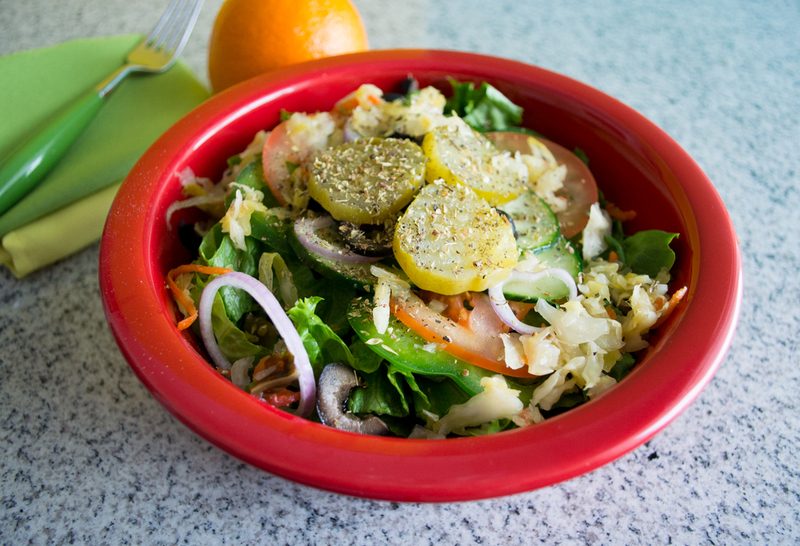 Whisk up an easy salad dressing of mustard, vinegar, oil, and agave (2 tsp, 2 tsp, 1 tsp, 1/2 tsp). P.s. this salad is absolutely to-die-for if you mix in a steamed or baked potato. Pingback: Is Subway Really Vegan-Friendly? ?